We have been hoping for a long time to record this mimicry (see a 2013 post, A distinctive call) and had the chance the other day with an oriole calling in roadside trees near Strath Creek. For about half an hour it warbled away with a mix of its regular call and a sub-song that included mimicry. Unfortunately there was a strong wind blowing (when hasn’t a strong wind been blowing lately!) – not good for sound recording! But in the audio files below we think, with a little imagination, we can hear snippets of the calls of Rufous Whistler, Yellow-tailed Black Cockatoo, Common Blackbird, Sacred Kingfisher (the lovely trill) and perhaps others we haven’t identified. The only other bird close by was a Yellow-faced Honeyeater, whose call can be clearly heard, but the oriole seemed to be trying to mimic that too. Then again, perhaps this is all just wishful thinking!? we have heard the oriole when camping in the high country. 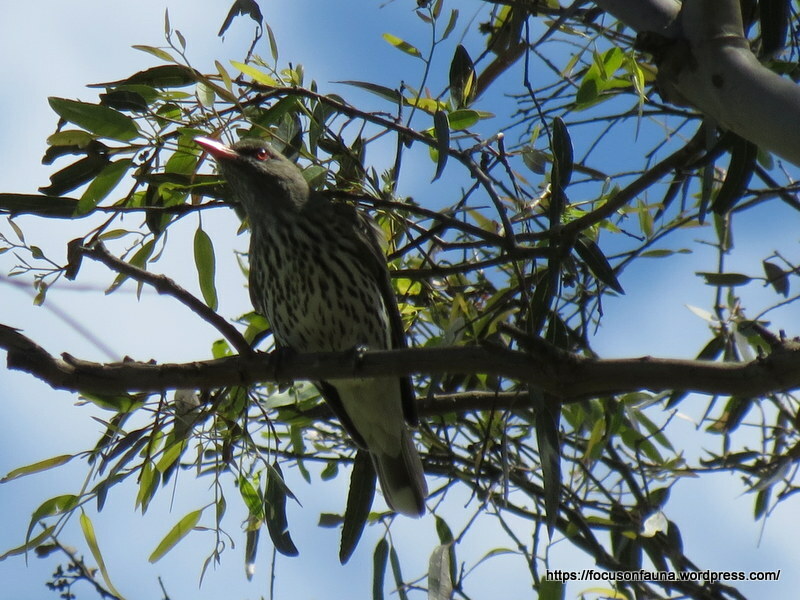 The mimicry was of other native birds in the distance! fascinating!